KENNESAW, GA--(Marketwired - December 03, 2015) - Yamaha's new 2016 Raptor 90 is an exciting youth ATV for riders starting at 10-years-old and is available now for the holiday season. 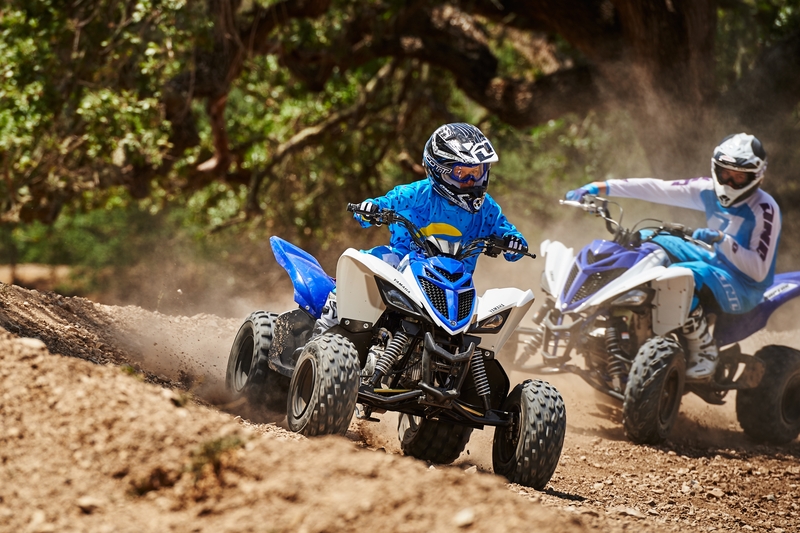 The entry-level Raptor's styling and sporty ride is reminiscent of the Raptor 700, but at a size and performance level appropriate for younger riders and budding ATV enthusiasts. The Raptor 90 is a great gift for first-time riders joining the family out on the trails this holiday season. The new Raptor 90's low-maintenance engine delivers excellent low-to-mid range performance, built to provide younger riders with an easy, confidence-inspiring ride. 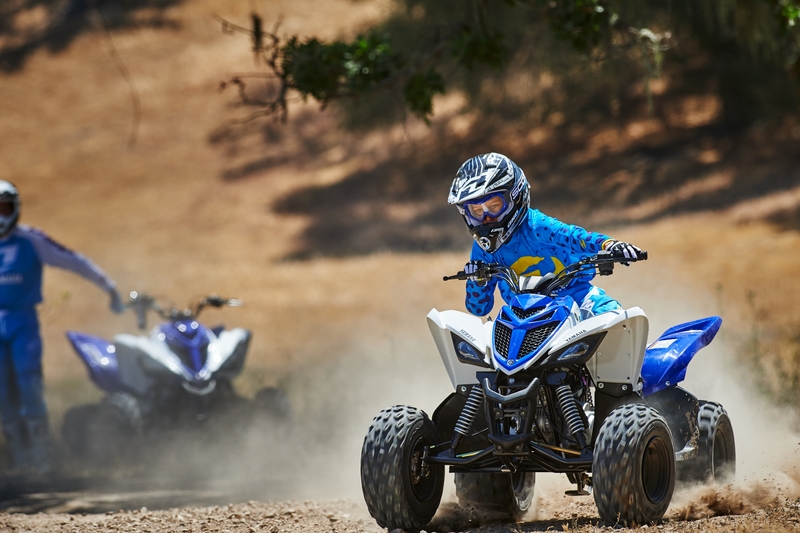 With Yamaha's industry-leading reliability and durability, parents can also feel comfortable knowing their child is safe. The Raptor 90 mounts an 89.9cc air-cooled 4-stroke SOHC engine with a continuously variable transmission (CVT) on a newly designed lightweight chassis. The CVT provides seamless acceleration with no need for shifting, and reverse gives young riders more versatility on the trail. 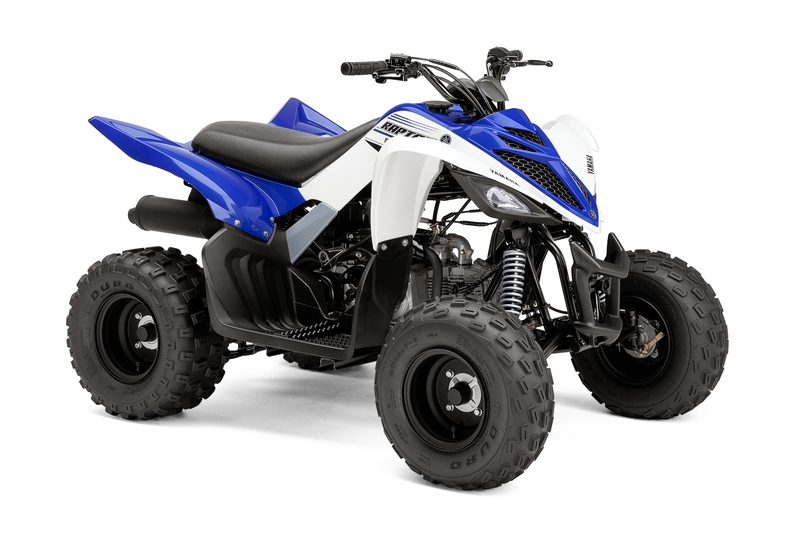 With increased power over Yamaha's previous Raptor 90, the new model provides sporty performance while maintaining a comfortable ride and simple operation. Yamaha's new 2016 Raptor 90 is an exciting youth ATV for riders starting at 10-years-old and is available now for the holiday season. The Raptor 90 is a great gift for first-time riders joining the family out on the trails this holiday season.